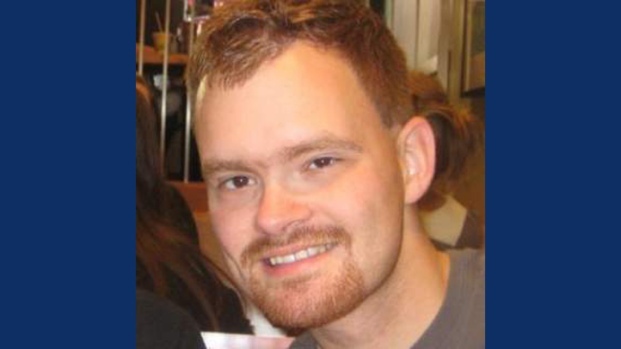 After legal wrangling this week, the Pa. Attorney General filed charges against Brandon Bostian, the engineer behind the controls of Amtrak 188. An attorney for the victims calls the charges a victory, but legal experts say the case is not a slam dunk. The engineer operating Amtrak 188 when it careened off the tracks in Northeast Philadelphia two years ago has been charged criminally in the derailment, Pennsylvania's attorney general announced Friday. 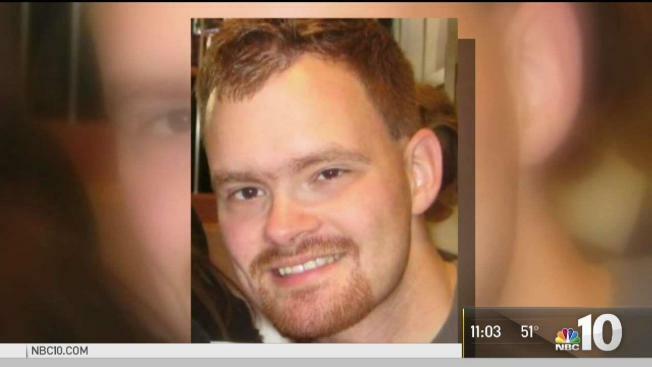 Brandon Bostian, 33, was charged shortly after 5 p.m. Friday, a mere seven hours before the statute of limitations was set to expire in the case and following a legal challenge by the family of a woman killed in the catastrophe. Amtrak 188 was traveling 106 mph when it jumped the northbound tracks negotiating a large curve at Frankford Junction on May 12, 2015. Several cars overturned and one was left crushed and contorted. The curve's speed limit was set at 50 mph. Eight passengers were killed and 200 were injured. Bostian told investigators he couldn't remember the moments leading up to the crash. He suffered a blow to the head during the derailment. Bostian faces eight counts of involuntary manslaughter, one count of causing or risking a catastrophe and numerous counts of reckless endangerment. Bostian, who lives in Somerville, Massachusetts, has not yet been arraigned on the charges. Prosecutors said they have been in talks with his attorney to have him surrender. Attempts to reach Bostian or his attorney for comment have been unsuccessful. Our sister station, NBC Boston, visited his home, but no one answered the door. The case was transferred to the Pennsylvania Attorney General Josh Shapiro's office on Thursday after Philadelphia Municipal Court President Judge Marsha Neifield ordered a private criminal complaint could move forward. Philadelphia District Attorney Seth Williams previously declined to file charges against the engineer. "I commend our outstanding team in the Office of the Attorney General who worked diligently and thoughtfully around the clock to enable us to be in this position to pursue justice on behalf of the victims of this deadly crash," Shapiro said in a statement. An intense federal investigation focused on what Bostian was doing in the moments leading up to the derailment. Investigators with the National Transportation Safety Board said Bostian accelerated to full-throttle as the New York-bound train traversed a straightaway through North Philadelphia. The NTSB analyzed the engineer's cell phone to determine whether he was distracted by the device. They found it had been turned off before and during the incident. It was later ruled that radio chatter about a rock strike to a nearby SEPTA train's windshield stole Bostian's attention that night. He lost track of where he was on the route; the realization that the curve was looming ahead in the darkness didn't come until seconds before the crash, investigators said. Bostian hit the breaks right before he felt the train tipping over. "I remember holding onto the controls tightly and feeling like, okay well this is it, I'm going over," Bostian told investigators. He said he remembered speeding up and later hitting the emergency break, but nothing in between. When the engine and the six cars in tow left the tracks near Wheatsheaf Lane around 9:15 p.m., passengers were tossed like dolls in the carriages. The first passenger car hit steel support beams suspending electrical wires. The beams sliced through the car, bending the coach into an unrecognizable shape. Some passengers were ejected from the train through broken emergency windows and crushed. Eight passengers were killed: Derrick Griffith, 42, a dean at Medgar Evers College in Brooklyn, New York; Rachel Jacobs, 39, the CEO of Philadelphia-based company ApprenNet and a mother of a toddler; Abid Gilani, 55, who worked for Wells Fargo; Justin Zemser, 20, a Naval Academy midshipman; Jim Gaines, 48, a father and Associated Press video software architect; Bob Gildersleeve, 45, a father and vice president of Ecolab; Laura Finamore, 47, a senior account director at Cushman & Wakefield; and Giuseppe Piras, 41, a wine and oil executive from Sardinia, Italy. Two hundred other passengers were hurt with injuries ranging from paralysis to broken bones and scratches. 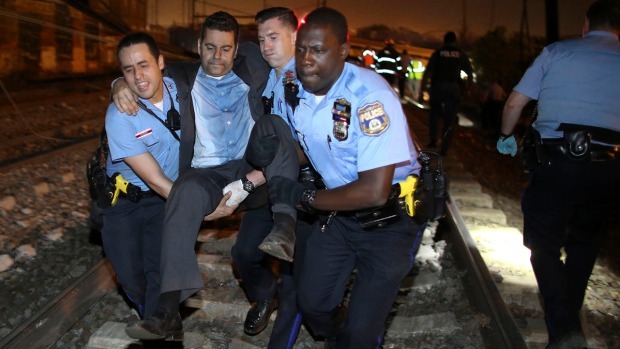 Police, firefighters and nearby homeowners helped to carry the injured from the tracks to waiting ambulances and buses. Those who could walk were offered water and a place to sit inside stranger's homes. From left to right: Justin Zemser, Jim Gaines, Rachel Jacobs, Abid Gilani and Derrick Griffith were among the eight people killed in the Amtrak 188 derailment. Amtrak agreed to a $265 million settlement with the injured and families of those killed. Bostian also filed suit against Amtrak in January accusing the railroad of not providing him a safe working environment. The railroad came under fire after the catastrophe for not having a speed control system on the rails. Called Positive Train Control, the system will automatically slow a train that is speeding. Amtrak later said the system was installed on the tracks, but not activated. It has since been deployed. Bostian has not spoken publicly about the derailment in the two years since. The NTSB investigation said he was a train enthusiast who had good knowledge of the speeds and tracks he was operating on. Two trains operating on the same route were struck by flying rocks that night — the SEPTA regional rail train and an Amtrak Acela heading for Philadelphia's 30th Street Station. Passengers on the Acela shared pictures of a shattered window with NBC10 following the derailment. Experts theorized that Amtrak 188's locomotive could have also been hit by a flying rock, the impact of which may have disoriented Bostian, but the engineer's memory loss and a lack of additional evidence left the hypothesis unproven. Shapiro's office scrambled to file charges Friday as a midnight statute of limitations deadline loomed. 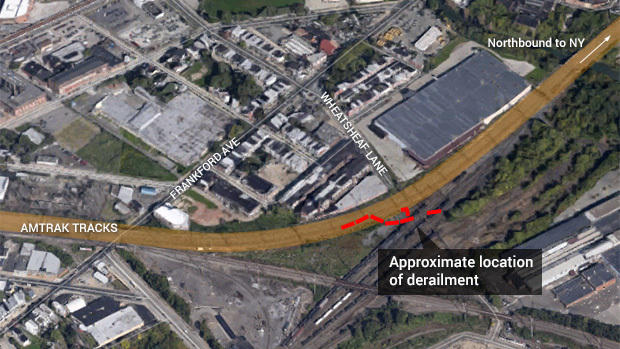 Earlier this week the Philadelphia district attorney said while it was clear the derailment was caused by speeding, there was not enough clear evidence to file criminal charges. Amtrak 188 Derailment, a Year Later: What Has Changed? "We have no evidence that the engineer acted with criminal 'intent' or criminal 'knowledge' within the special meaning of those terms under Pennsylvania law for purposes of criminal charges," the office said in a release Tuesday. The family of Rachel Jacobs then filed a private criminal complaint in Philadelphia Municipal court. A judge ruled Bostian should be charged and the case was referred to Shapiro's office. "The attorney general tonight should be commended and congratulated for doing the right thing," attorney Tom Kline, one of three lawyers representing the derailment victims said of the charges. "This is a moment of justice. This is a moment of bringing a man to task for what he did to all of these families." Kline spoke to Jacobs' father, John Jacobs, shortly after the charges were announced and said the man "wept at his daughter's grave tonight."